If you want to know how business conditions are, just ask any sideshow midgets. They have a most reliable barometer. And if you don't know any midgets to ask, then see Mr. and Mrs. A. E. Willis, 2599 Poplar. 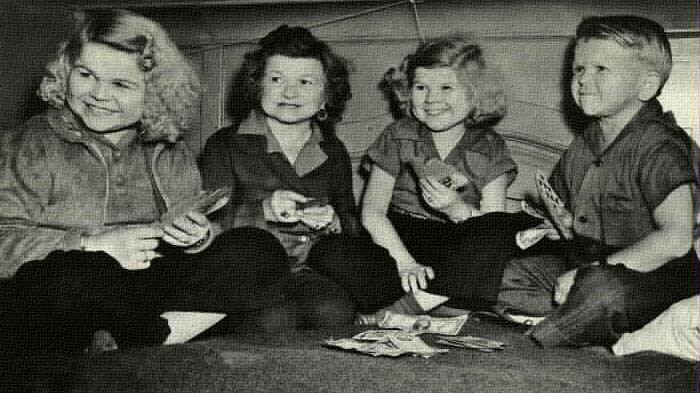 They are the "Foster parents" of famous Doll family of midgets, now on tour with the Ringling Circus, and they get regular reports from them. There are four in the midget family-Daisy, Grace, Tiny and Harry. Professionally they go by the name of Doll, but their real name is Schneider. They are from Germany. They call Mr. and Mrs. Willis "Mom and Pop," and they write to them every week. And in their letters they give reports on the sale of their souvenir postcards - you know how they sell postcard in the Sideshow. This year they are doing so much better than they have done in the past few seasons. When people buy those postcards, you know that the country is in pretty good shape. In the back yard of the Willis home are four wiggly little Pomeranians. They belong to the midgets. "So many of the show people wanted to take dogs and other pets with them that the show just had to put a check to it," Mrs. Willis explains. "So they started making a charge of $5 a week for the board and transportation of every pet that wasn't a performer, and the midgets decided that was too much to pay. They left their dogs with us. MR. WILLIS operates several concessions at the Fairgrounds Amusement Park- the airplane swing, the miniature railroad and the shooting gallery. Years ago he operated East End Park. He concurs in the midgets' observation that the country is in good shape. People this year have been airplane swinging and miniature railroading and shooting about 20 percent more than they did last year. "And another thing: Lots of them pull out $5 and $10 bills. That's a mighty good sign. You don't see that when times are hard." Probably you have noticed the Willis home on Poplar. 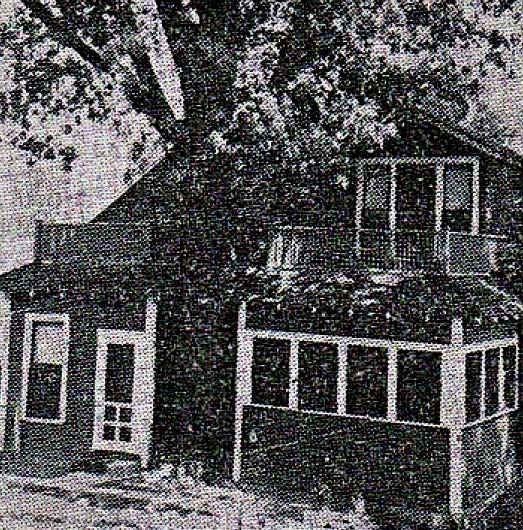 It's the last house before you turn in to the Alicea golf course, going out-the house with the enormous oak tree growing thru it. That was in 1916. Both Mr. and Mrs. Willis love trees and flowers. And when they built their home that oak was right on the building site. But they couldn't think of cutting it down. They just built the rear of the house in the shape of a "U'-with the tree between a sleeping porch and a breakfast room. They also built an upstairs rear balcony in the shade of the tree. After the Fairgrounds Park closed down for the winter, Mr. and Mrs. Willis will light out for Sarasota, Fla. They go down there every year. That you know, is where the Ringling circus winters. The midgets have their little winter bungalow there, too, and it will be a great reunion with the Willises and the Poms.